Check out this healthy tofu recipe for Valentine’s Day that was created by Debi Mazar & Gabriele Corcos, stars of Cooking Channel’s show Extra Virgin. 1. Combine sugar, water, and cocoa water in a medium sized saucepan. 2. Bring to a boil, and stir until sugar is dissolved. 3. Simmer for 5 minutes. 4. Turn off heat and cool slightly. 5. 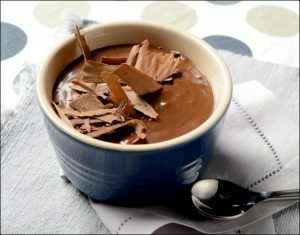 Now, melt the chocolate in a glass bowl set over a saucepan of lightly simmering water. 6. Add both mixtures plus Tofu into a blender and puree until completely smooth. 7. Divide the chocolate mixture among ramekins and place in the refrigerator for 2 hours or up to overnight. Looking for the perfect chocolatey cocktail, try this one using Effen Vodka. 1. 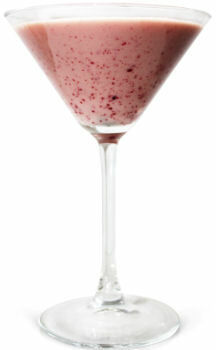 In a mixing glass, combine all ingredients and shake with ice. 3. Garnish with lemon peel and brandied cherries.